Canadian indie alt-pop songstress JEEN is readying the release of her much anticipated new LP Gift Shop. The album, which features anthemic reverb-fueled indie-pop, is produced by JEEN and mixed by renowned Toronto musician/producer Ian Blurton. Gift Shop will be released this fall via Red Brick Songs. An established and successful songwriter with a penchant for crafting hooky, sync-worthy songs, JEEN became the vocalist and co-writer for Cookie Duster, the side project from Brendan Canning (Broken Social Scene). In 2014, JEEN released her debut solo LP Tourist which immediately got picked up by NPR’s beloved and influential show “All Songs Considered” who featured lead single “Everywhere I Go” and highlighted JEEN in it’s “9 Creative Musicians You Should Know” radio episode in 2015. The attention landed her a feature showcase slot at TIFF’s 2015 Canadian Music Café extensively broadening her reach in a sync market she had already well established herself in. 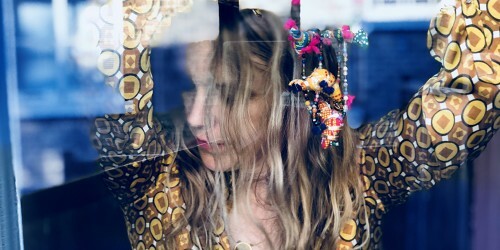 JEEN’s 2016 sophomore LP Modern Life continued to build on her debut success with Consequence of Sound calling it, “…catchy, anthemic indie pop”. Both albums resulted in significant sync success for JEEN with song placements in various commercials (Google, Panasonic, Estée Lauder, Kraft, BlackBerry, KIA, Rogers, MasterCard, Molson) as well as notable movies and televisions shows (Cook Off, Republic of Doyle, Instant Star, Ruby Gloom, Degrassi, Killjoys, Hockey Wives, Workin’ Moms, MTV Catfish, MTV Are You the One). 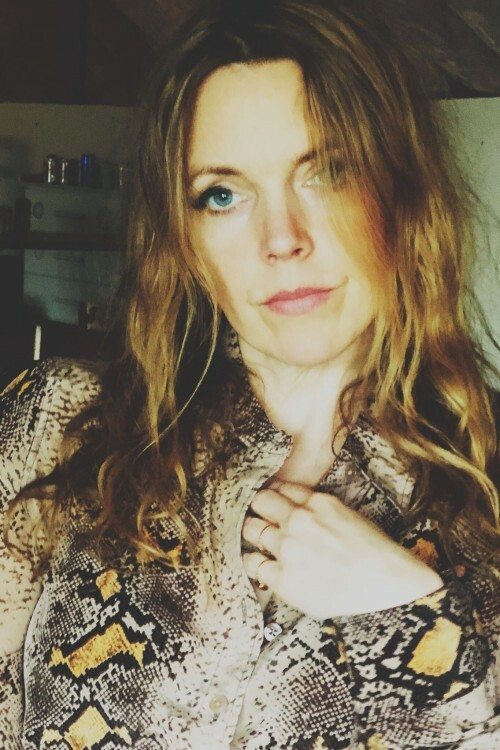 If her songwriting resume isn’t impressive enough, JEEN has also written for many recording artists including Great Big Sea, Serena Ryder, Res, Hawksley Workman, Brendan Canning, FUWA FUWA (j-pop) and Martin “Doc” McKinney. With Gift Shop, JEEN has honed her unique, vintage sound creating her finest work to date. Jeen reminds I’m Good I’m Gone of that fun friend that knows how to have a good time better than anyone else – stream “Any Moment” now! “Pull Out Your Knives” by Jeen is added to Shareriff’s ROCK MY POP PARTY Spotify playlist! Happy release day to Jeen’s ‘Gift Shop,’ officially out now! SONG PREMIERE: Big Takeover Magazine premieres “Pull Out Your Knives,” the latest single from Jeen! “Medicate Me” by Jeen is Turn Up The Volume’s Pick of the Day! SONG PREMIERE: Stream the official premiere of “Medicate Me,” Jeen’s latest single, through Billboard! VIDEO PREMIERE: Jeen shares her new visuals for “Any Moment” at Exclaim! “Any Moment” by Jeen is one of Magnetic Magazine’s 15 Best Indie Tracks of July 2018! CHILLFILTR.com stream/review “Any Moment,” the new single from Jeen! The brand new singles from both Jeen and Basement Revolver are featured in Music Enthusiast’s latest New Music Revue! “Any Moment,” Jeen’s ‘soaring blues-rock-inspired stomper,’ is included in the latest edition of Mystic Sons’ New Music Discovery! Hear Jeen’s new offering “Any Moment” through El Tino! Jeen’s “Any Moment” ‘…is like the first cup of coffee – a wide-eyed wake-up call that immediately perks you up’ – hear it in The Revue’s The Matinee! 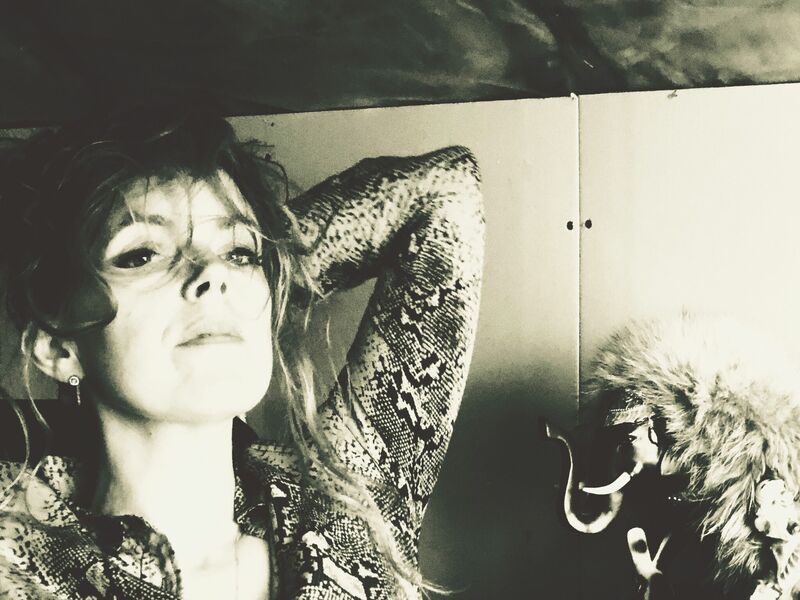 SONG PREMIERE: Jeen shares “Any Moment” with Indie88Toronto!